This post is written by Carolina Leyton! Carolina is an international first year student at UBC Okanagan. She is the recipient of IMES which also makes her a part of the Society of Scholars! Carolina wants to major in English with a minor in Creative Writing. Her home country is Colombia! Carolina recently turned 18 and is excited to make the most of the opportunities this university has to offer. The big envelope finally arrived. I already knew what was in it, since I had gotten an email a few weeks ago. Doesn’t mean I was less excited about it. What I held in my hands was 4 years of hard work and dedication. Those years that I hoped would lead me to “Miss Leyton, We are pleased to inform you that you have been accepted.” An involuntary smile appears in my face, full of pride, achievement and gratefulness. My classmates knew my intentions and fully supported them, I am sure, but they didn’t believe it was real (mind you, neither did I) until it was made official. 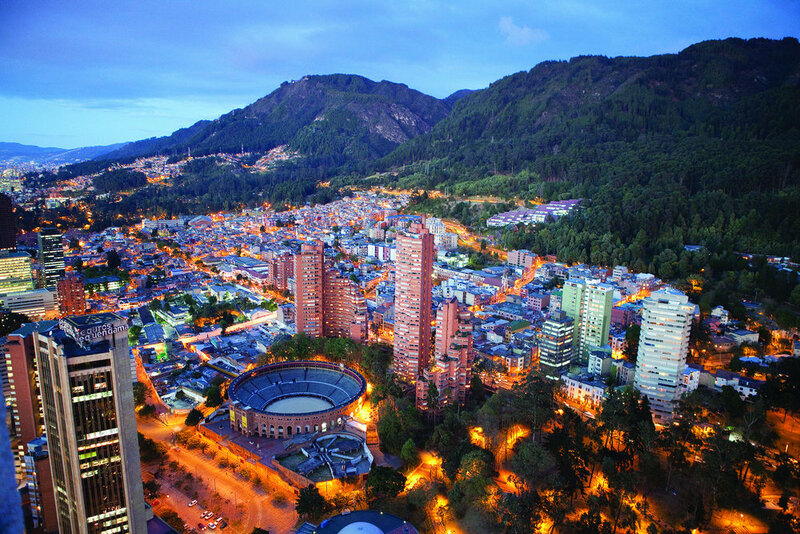 My fate as an IB school girl, was to go to a university in Bogotá, and maybe, if I was lucky, do my MA outside of Colombia. Do not take me wrong. The school does support the expanding of our horizons and the counselor lets us know about most of our options, even international university fairs are brought to school. That is where I learnt about UBC. The time and information were limited, though. I knew it was up to me, and only me, to get here. Many of my classmates were interested in doing their Bachelor’s Degree abroad, but soon enough the idea seemed far-fetched, almost extraterrestrial. Why? “Where are you from?” Typical conversation starter for the first week of university. I am from Colombia. I know just too well the looks on people’s faces once I utter those words. Most are genuinely interested in knowing more about my background. Few other times, however, I will notice what I like to term ‘the look’, which has two variations. The first one, and people who have a media-formed idea of Colombia will know this, is the ‘you come from a drug dealer country’. This image has been difficult to demystify, but I am proud to say that on a trip to Mexico, 2014, when I said Colombian, the reply was James Rodríguez. Sometimes, sports will bring people together. The other variation is fleeting, and the eye has to be trained to notice it. People will look slightly sideways, trying to hide embarrassment and then their mouths will round in an ‘o’ shape, as if recognition dawned on them, when in reality it hasn’t. I don’t blame them for not knowing Colombia. I, myself, do not know what it means to be a Colombian woman in 2017, studying abroad. Still, I will try to figure it out. Let’s go over some of the most common stereotypes, starting with the physical ones. Colombian women are deemed to be beautiful, with tanned skin, tall and curvy bodies, chocolate eyes and hair, and a bright smile. I am neither of those things, nor are a lot of Colombians. Colombian women are supposed to know how to dance, or if they don’t know, at least they are pretty good at it. I cannot dance to save my life. If you ask me to salsa, your toes better be prepared to bear my weight. Another stereotype is that Colombians are extremely extroverted, loud, and love parties. Parties are not my scene, I am extremely introverted and unless you are really close to me, I can be particularly quiet. I could go on and on about stereotypes, and how I don’t fit them, but you get the point. The problem with stereotypes is not that they are false, is that they are incomplete, that they do not take into account every individual story (not that I am saying this is possible). The stereotype will try to fit most people of a group within a particular structure. Am I still part of the Colombian structure if I don’t fit it perfectly? Yes, as are Costeños, Paisas, Boyacos, Pastusos, etc. They might not mean anything to you, but they are regional identities, each one as Colombian as the other one. Different traditions, dances, different food, different accents and slangs, but all part of the same country. Yet, there is still conflict within and amongst them, partly because facing stereotypes, makes them face each other. Where there is diversity, there will always be divergence. I am Colombian. That is one of the biggest parts that make me who I am today. In a globalized world where cultural barriers seem to be blurring more and more each day, leaving local cultural identity as something of the past (as delusional as this may sound), saying where you are from may be deemed as unimportant because all of us are hybrids of a highly intercultural society in which some cultures prime over others. But not because I listen to Ed Sheeran or Taylor Swift, means I quit listening to Carlos Vives or Fonseca. Not because I enjoy Indian food means I wouldn’t give anything to eat Bandeja Paisa again. It is not only about cultural expressions such as arts and food. It is about upbringing. Living in a Third World country, which has become a synonym of a country that lacks opportunity, I understand and am grateful for my privilege, something many of my compatriots do not share. I grew up in a typical middle-class Colombian household that was built upon my parents’ hard work and strenuous effort. I was raised speaking Spanish, I was raised to be a Catholic, I was raised to be close to my family and empathetic with the rest of the world and their circumstances, I was raised to be proud when the anthem signals a Colombian achievement, I was raised to be passionate about going to the FIFA World Cup. Most of all, I was raised to miss home when I am far away from it. Coming to UBCO will not change or make me forget where I came from. Here, some people know me as ‘one of those Latino people’ or as ‘the Colombian girl’. That is me and I am proud of it. Growing up as a Colombian didn’t mean exacerbated nationalism. For me, it didn’t mean that I loved my country every step of the way, because there are some issues that still need to be worked out, but being Colombian didn’t mean that I couldn’t follow my dreams. That is exactly what I am doing here and part of that was being raised in a country that allowed me access to high quality education, that allowed me free choice and that still has potential to grow economically, socially and culturally. We have the diversity to do it. Colombia is full of bright, hard working and passionate people that deserve a chance to be heard. I hope you heard me.